I’m so excited about this free printable that my friends Shannon & Cheryl put together for you! We just updated it (as of 6/26/18) with all of the basic prices at Target, Walmart, Staples, Office Max and Office Depot, so hopefully this will make Back To School Shopping a wee bit easier for you. Pricing will vary some by area. Staples, Office Depot and Office Max pricing should be fairly consistent nationwide, but Walmart and Target prices may be slightly different depending on your location. The regular prices on some items at Staples, Office Max and Office Depot are significantly higher on a few things, however their weekly sales ads will have deeply discounted savings that are worth picking up each week. Since Walmart doesn’t typically offer big sales on their items (just every day low prices), my bet is the Walmart pricing should be pretty similar to what you’ll find at your local Walmart throughout the Back-To School season. As always, there is no guarantee on this pricing but this should give you a basic reference guide! 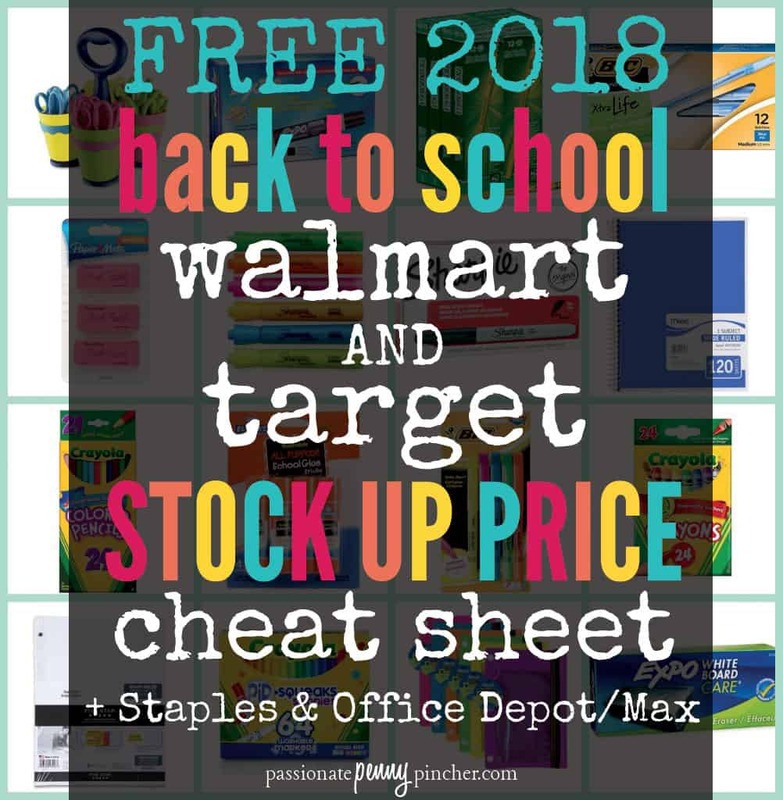 Go HERE to print your free printable Target ~ Walmart ~ Staples ~ Office Depot/Max Back to School Comparison Cheat Sheet, and share with your friends this school season so they can pinch those pennies too!